There are so many stories that take on new life through jewelry that is passed on. This is one of my favorites. This lovely lady's original set along with her mother and mother-in-law's wedding sets transformed into new treasures for herself and her family. She imagined the possibilities and look what was created! 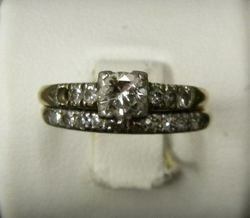 A before picture of her own set, with engagement ring and wrap. Two diamonds are missing. 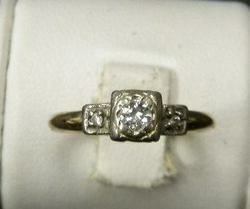 Before picture of her mother's engagement ring. 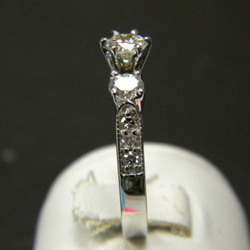 Notice the two side diamond and how they are set. You will even see these transformed. 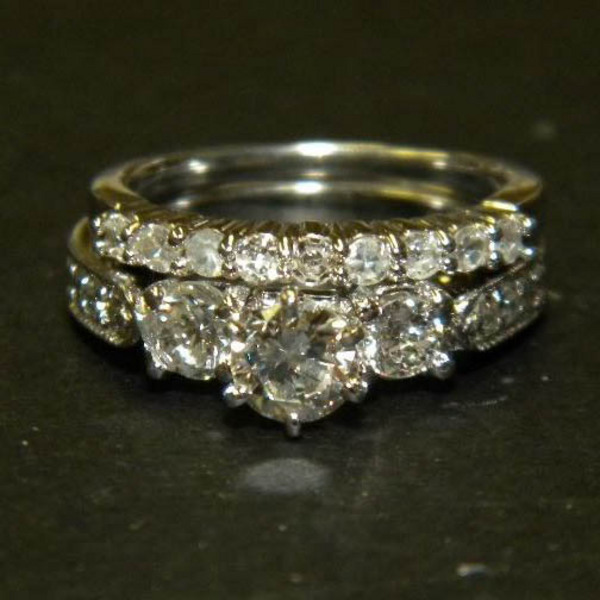 Three larger diamonds from the engagement rings plus the smaller side diamonds became this beautiful set. She has her mother, mother in law and her own center diamond with her always. 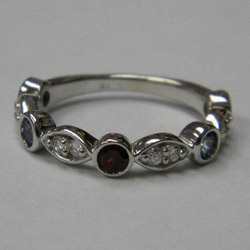 The small diamonds from her wrap, plus a few more and genuine colored stones, became this stunning mother's ring. 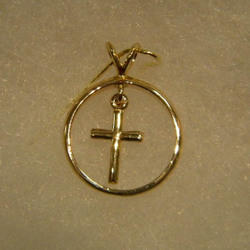 Her mother's original wedding ring was made into a pendant, with a simple cross in the center. 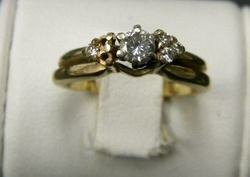 Her mother's original engagement ring, with the two side diamonds, was divided. 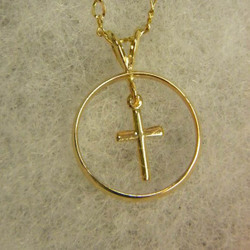 The ring became another cross pendant to be gifted to her family. 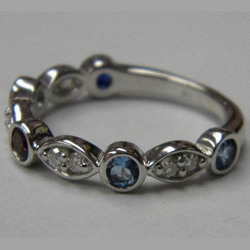 And remember those two side diamonds on her Mom's ring? 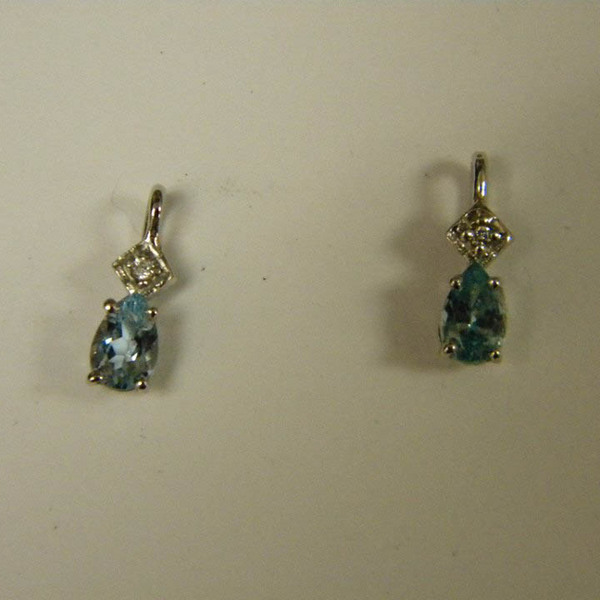 Two pendants were made with the birthstones of the recipients. Now they have a part of her Mom with them always.